Squadrons is the first feature covered and it takes the casual grouping that Wings currently provides but formalises it deeply into the game. For Xbox players familiar with Clubs you’ll see a lot of similarities here with how squadrons are defined and how they are defined (using tags). Factional allegiances play into squadrons and there is also a competitive aspect to it with leaderboards and in-game rewards for the best of the best. 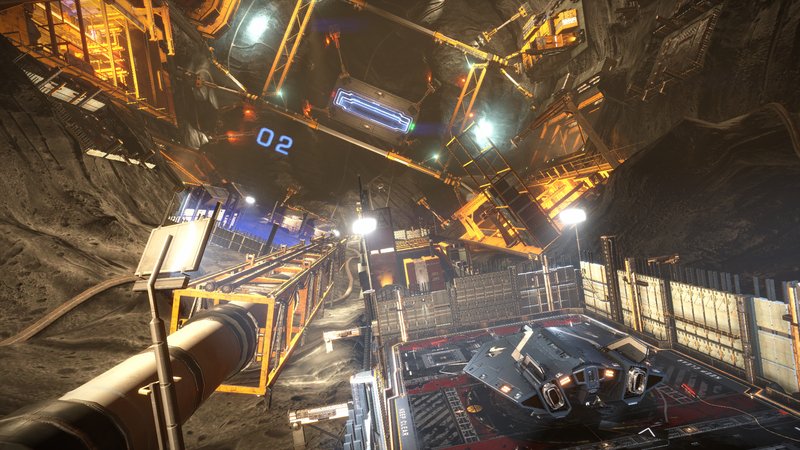 Mining enhancements initially appear to work similarly to exploration with scanning and probes playing a part finding resources. There’s also new tools for digging out those materials, from scraping them off the surface of asteroids to ripping them completely in two. With all these new systems I wonder if it’ll mean that your ships will need to be even more specialised to serve the tasks you want to use them for. Players wanting the ultimate jack-of-all-trades vessel may need to be selective in what they choose do. The new tools might encourage more players to try their hands at mining as they can help you to get to the “good stuff” faster. Mission boards always have requests for materials so this can help the less aggressive players have other alternative options to make money. With one more Livestream to go we’ll see what else is to come real soon.